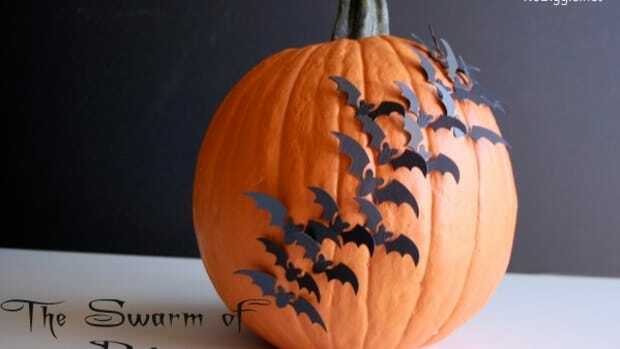 Sometimes you just don’t feel like hauling out the carving kits and get into the giant mess of carving pumpkins. 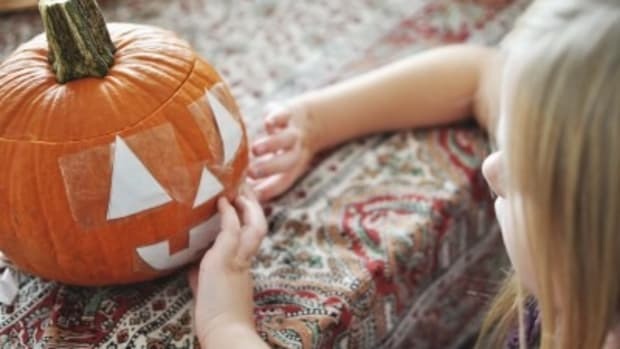 Not to mention that if the weather is too warm, your carefully carved pumpkin literally melts on your porch. 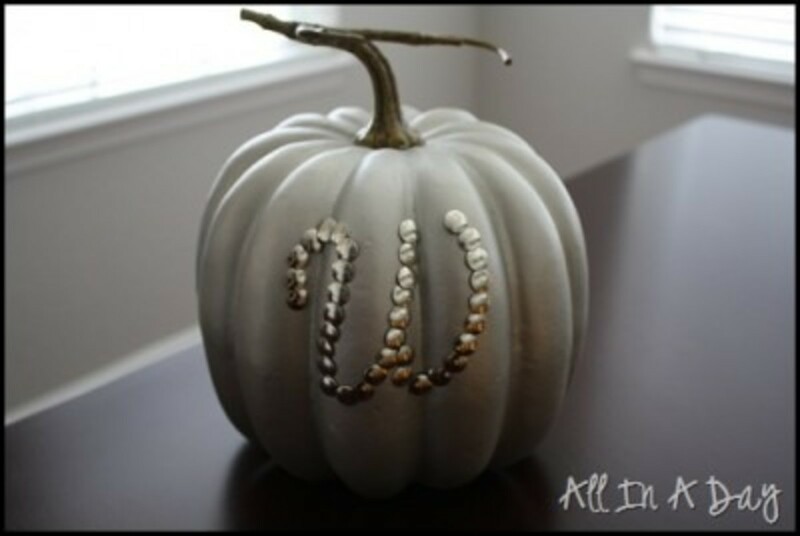 So I found ten ways that you can decorate pumpkins without carving them! 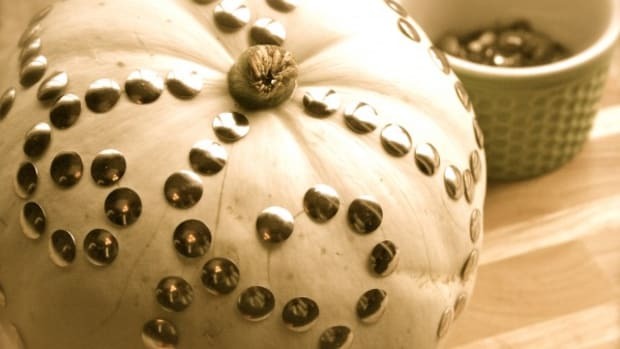 You can use a lot of these ideas on real or faux pumpkins, but no matter which you use, at least there’ll be no guts and seeds on your table. 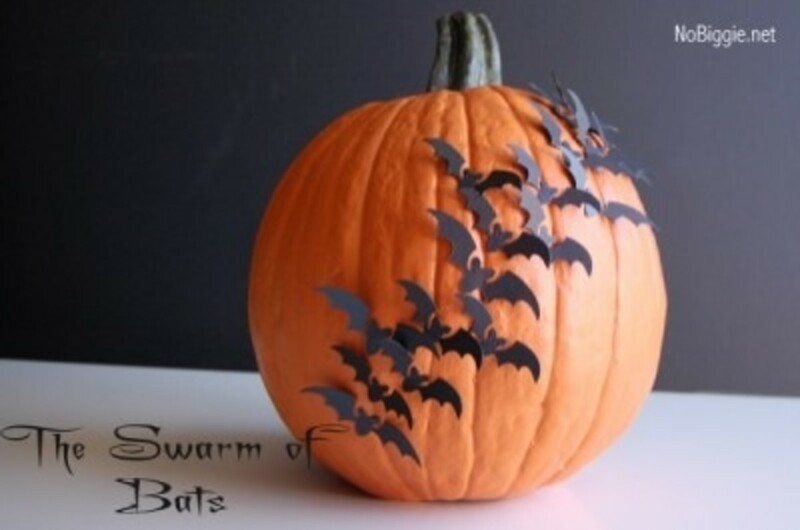 I have to start with my friend Kami (who is a paper craft genius) and her bat pumpkin. 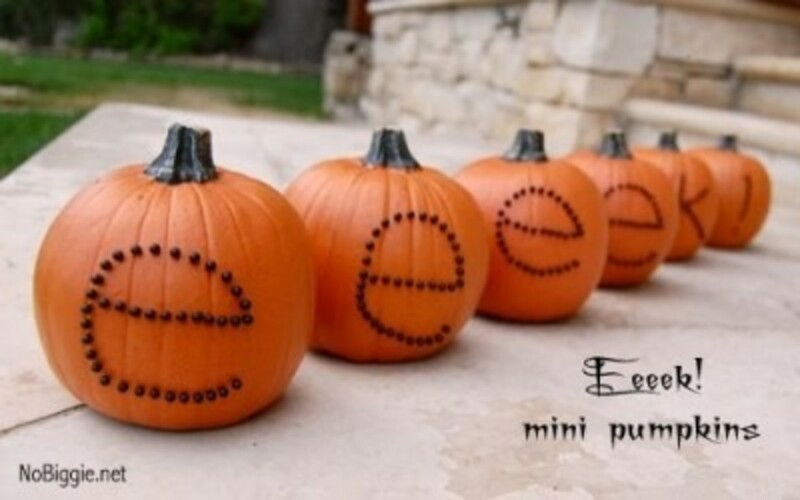 I made these “eeek” pumpkins, also from No Biggie, last year and they were so cute going up on the steps of my porch. 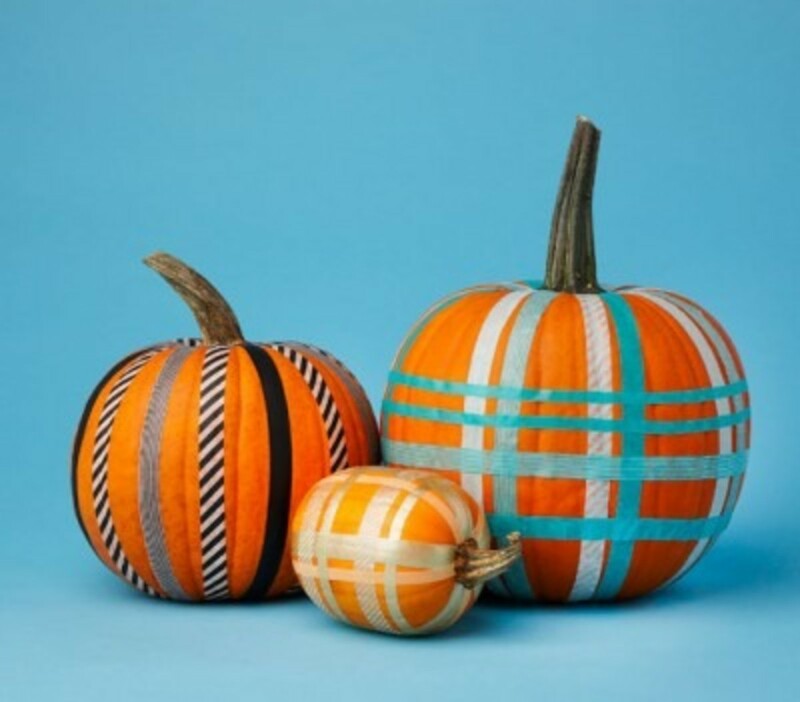 There can’t be anything easier in pumpkin decoration than creating patterns with washi tape from Real Simple. 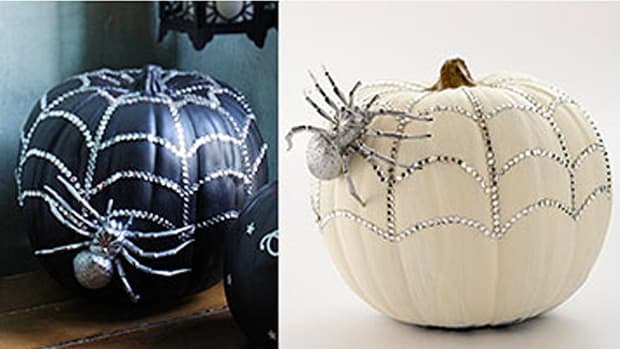 Super dramatic pumpkins with rhinestone from BHG. 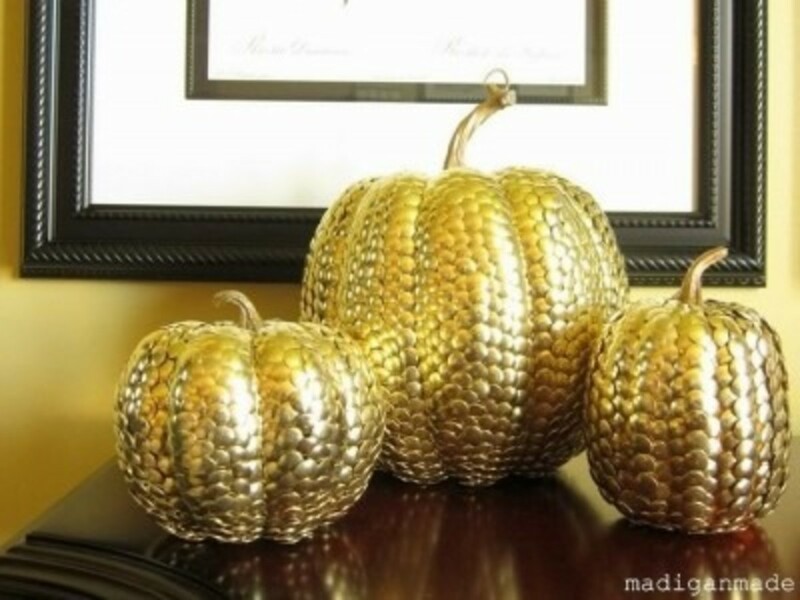 Fantastic gold pumpkins from Madigan Made. 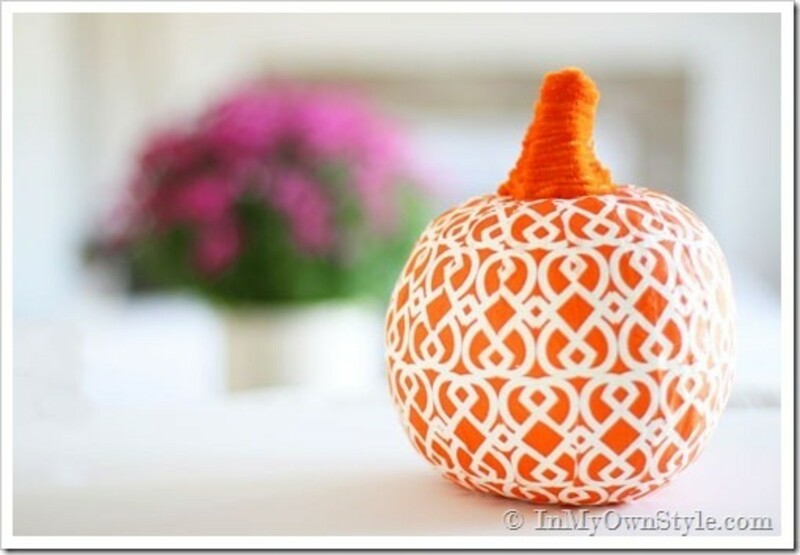 Using a great patterned napkin to decorate your pumpkin from In My Own Style. 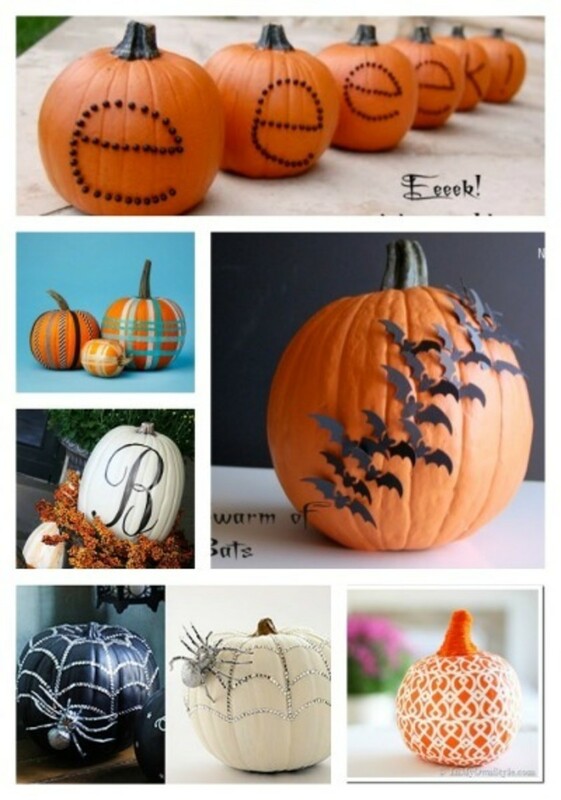 It’s that time of year again and we are gearing up for some fun pumpkin carving. 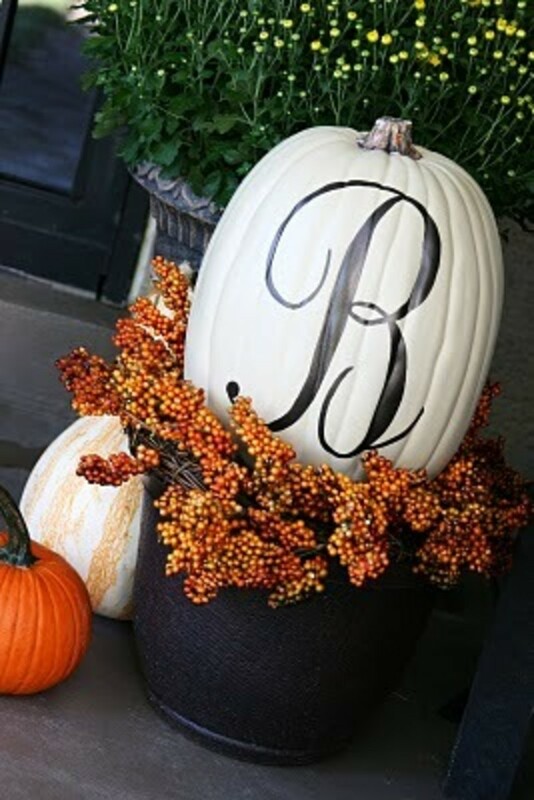 I was invited to attend MOMPower this week sponsored by TXU Energy. 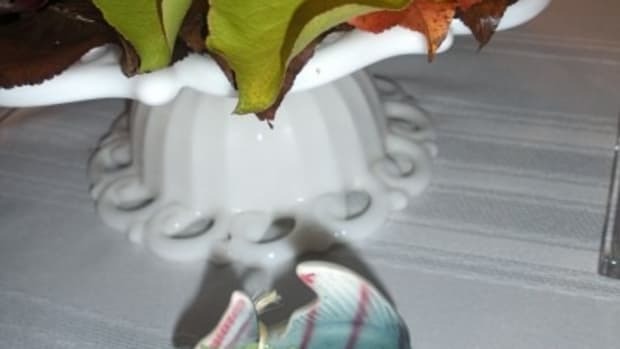 Although I like low-key dining and don’t even own china, I like to set a pretty table for Thanksgiving. 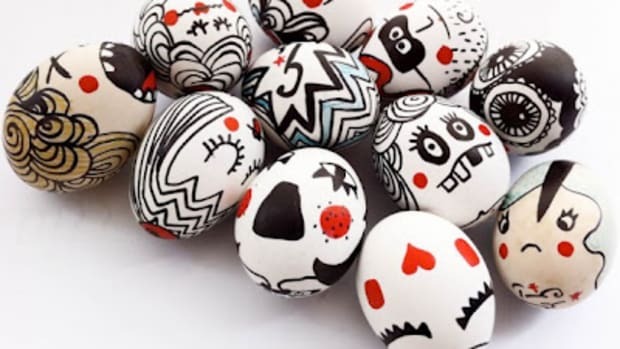 Either you go the $0.99 Paas egg dying route, or you choose to get artistic in your Easter Egg celebration. 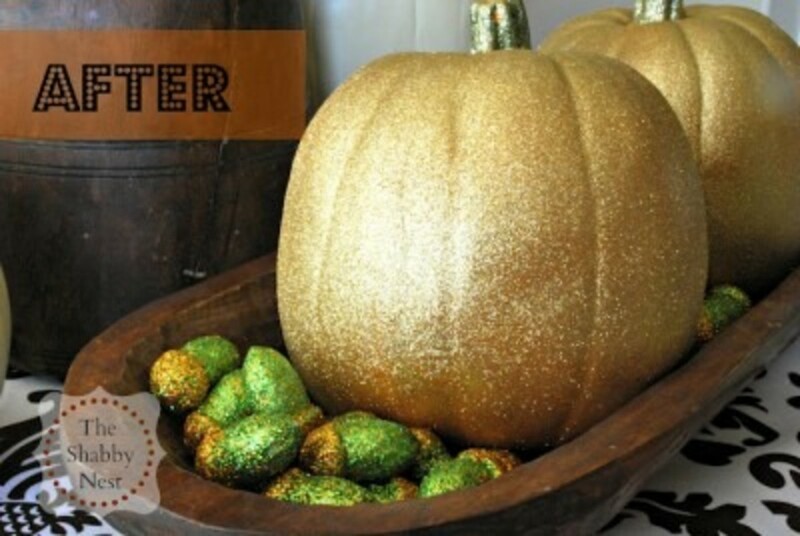 Here are 9 creative ways to decorate Easter Eggs. 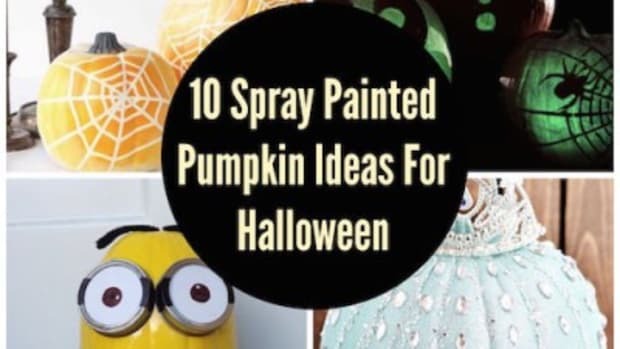 A carved pumpkin is cool, but a spray painted pumpkin is way cooler. 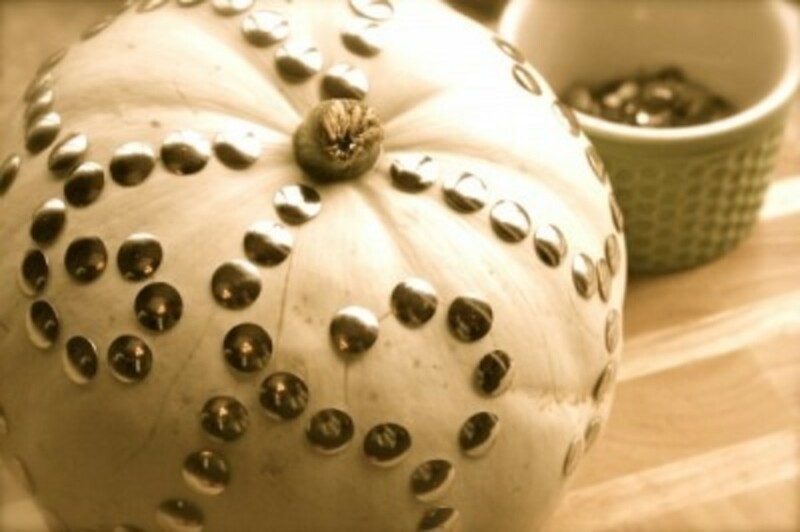 Loving these ideas for Thumbtack Pumpkins that make decorating or Halloween and Fall simple!